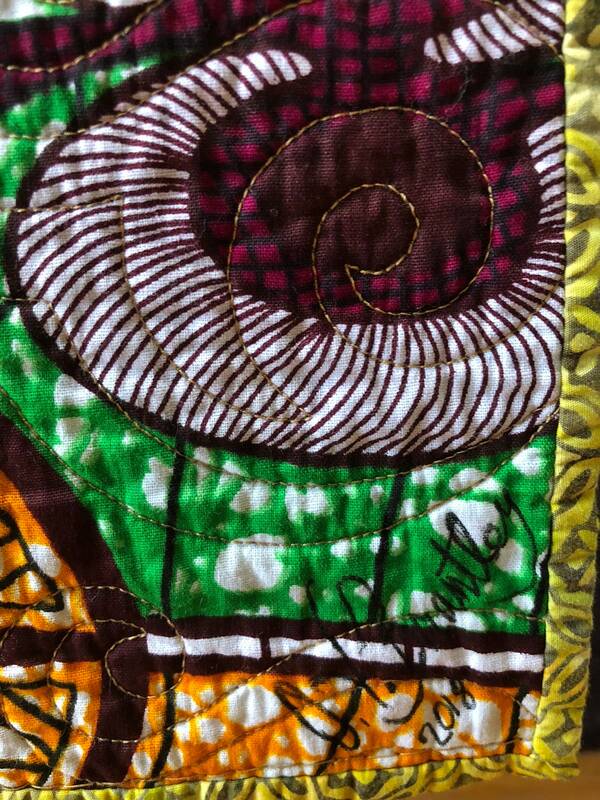 In preparation for my 9-day Craftours of Bali, I saw many pictures of colorful batik markets. 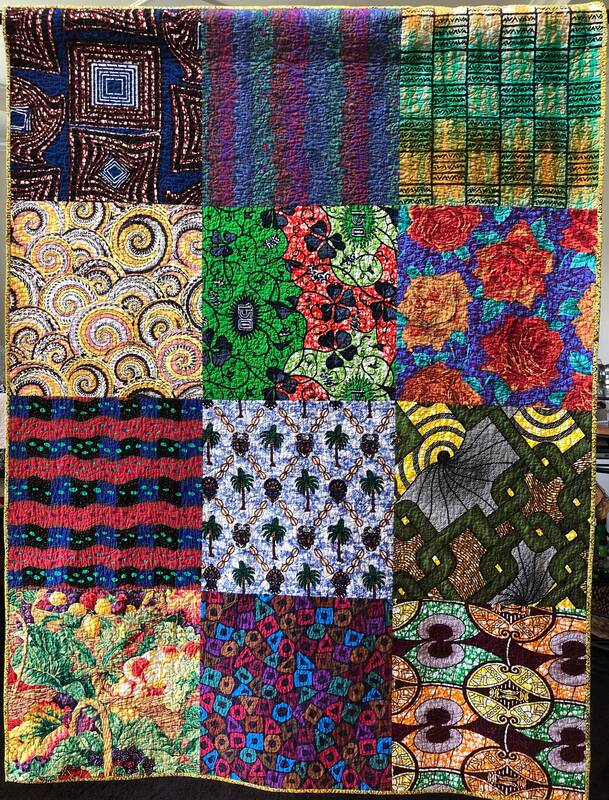 The batik markets of Bali inspired this series of quilts. I wanted to randomly mix different prints to get a bazaar effect. Since I was experimenting and many of the fabrics had a large scale, I decided to make the blocks big. 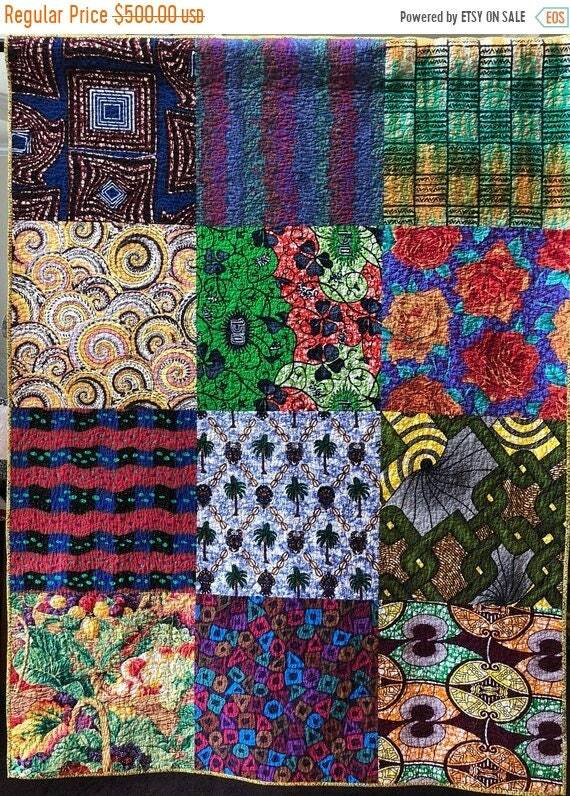 That’s how this series of quilts got its name. 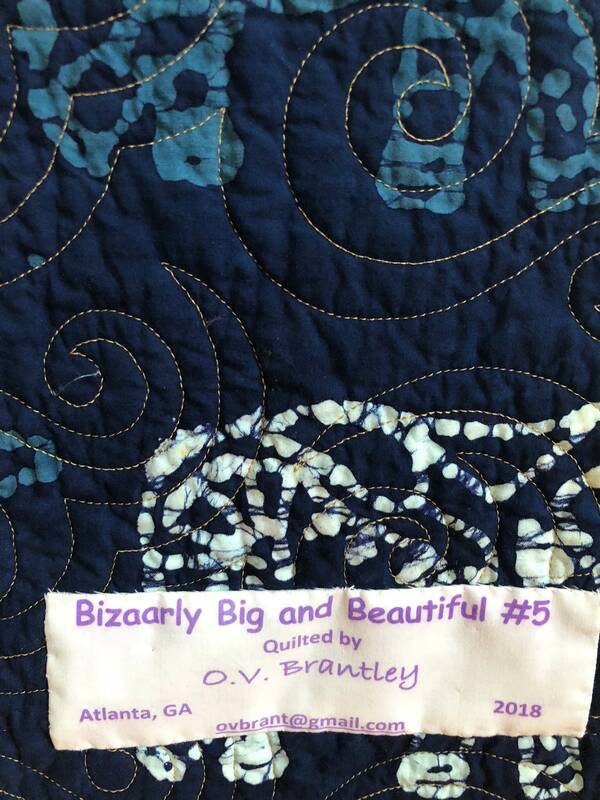 “Bazaarly Big and Beautiful #5” is a lap quilt that measures 50x66 inches. 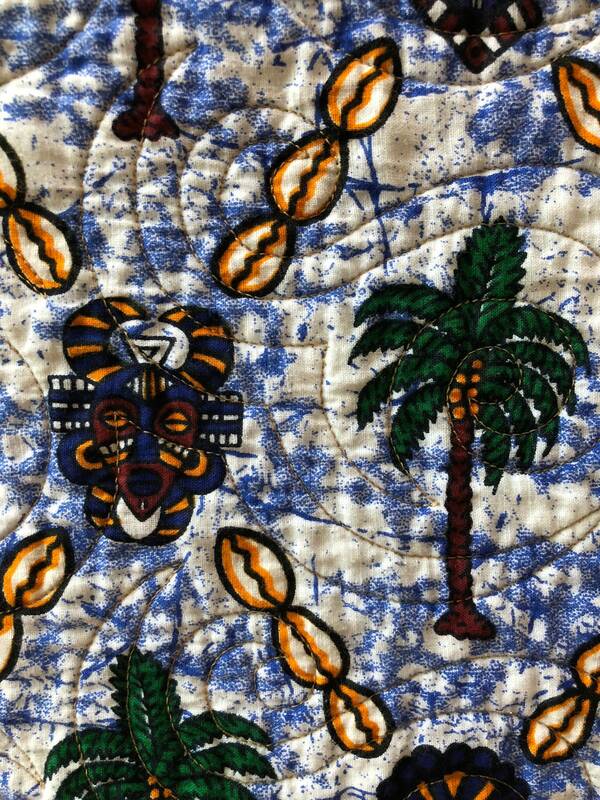 It is comprised of 12 random 18 inch blocks in a mix of African and domestic prints. 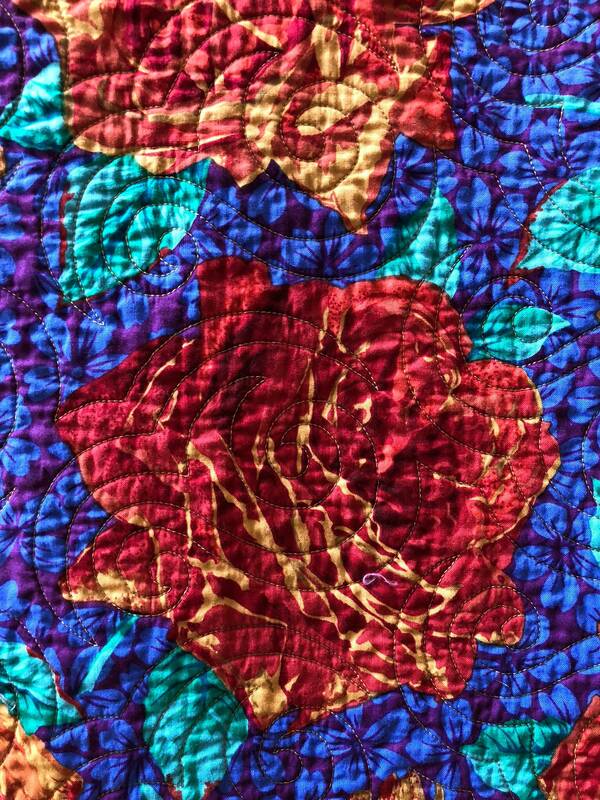 It is pieced on my machine and quilted on a long arm. 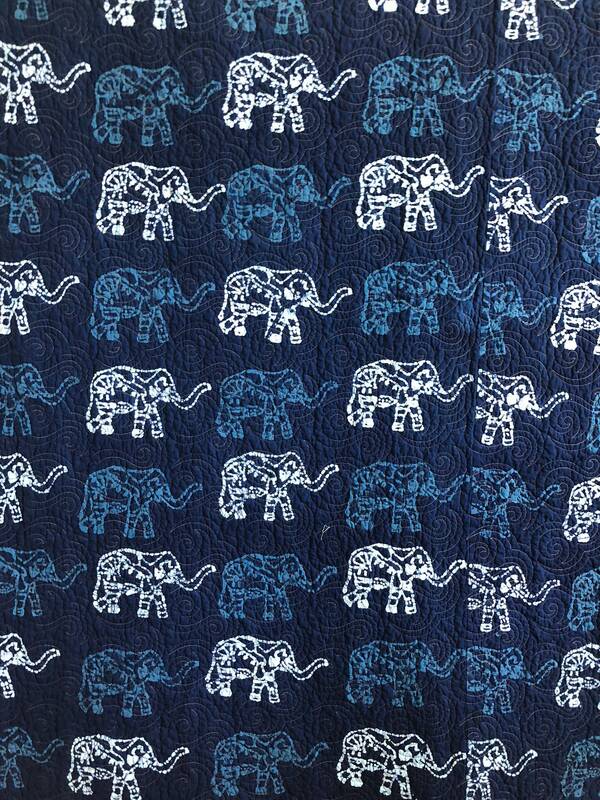 There are blue batik elephants on the back. (Remember we are going Big). 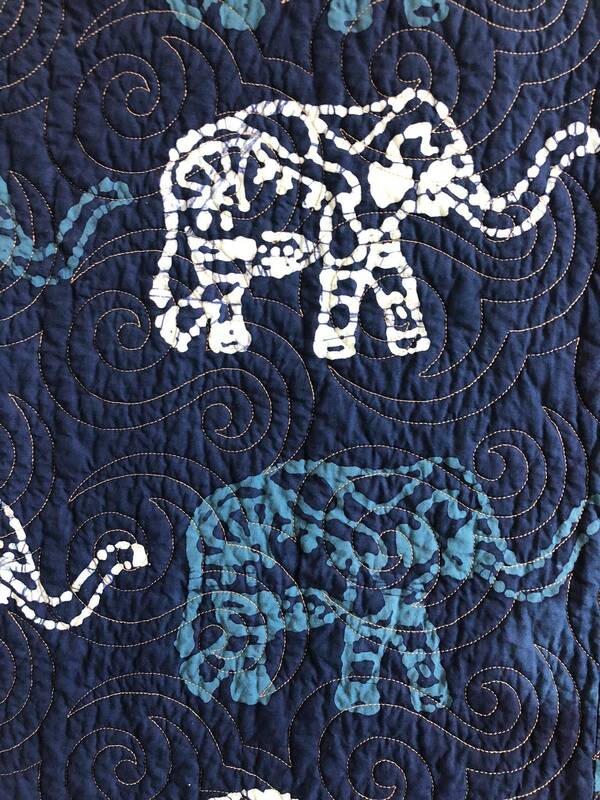 If you prefer to hang the quilt rather than cuddle under it, there is a hanging sleeve on the back for easy display. A label documents the quilt.